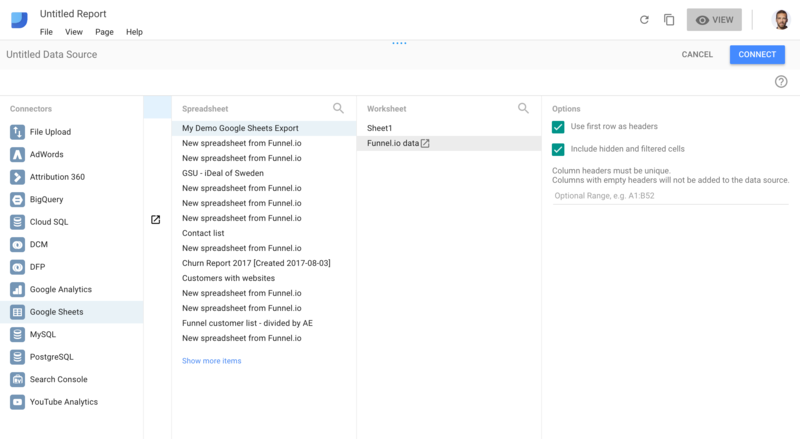 If you haven't already done so, please read through our guide on how to create an export of Funnel data to Google Sheets here! Let's get started. 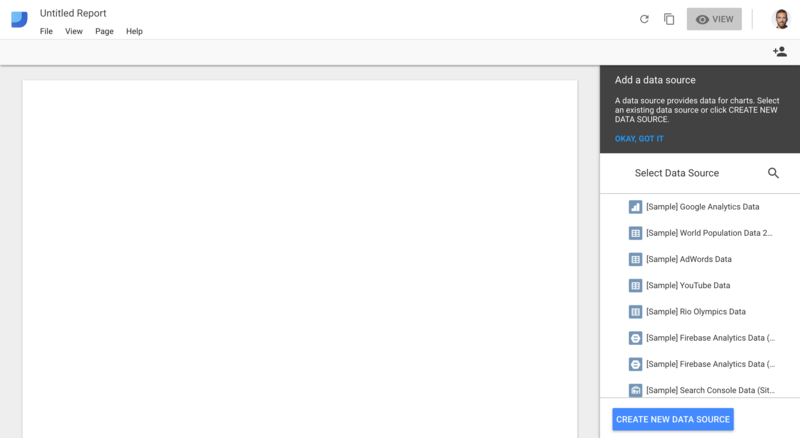 Log in to Data Studio and click the + sign in the bottom right of the browser window. Next, choose to create a new data source. 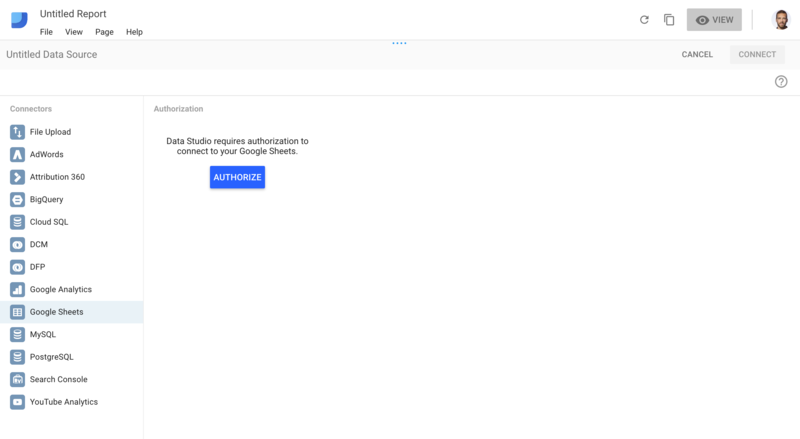 Select Google Sheets in the Connectors list, then click Authorize to give Data Studio access to read from your Drive. 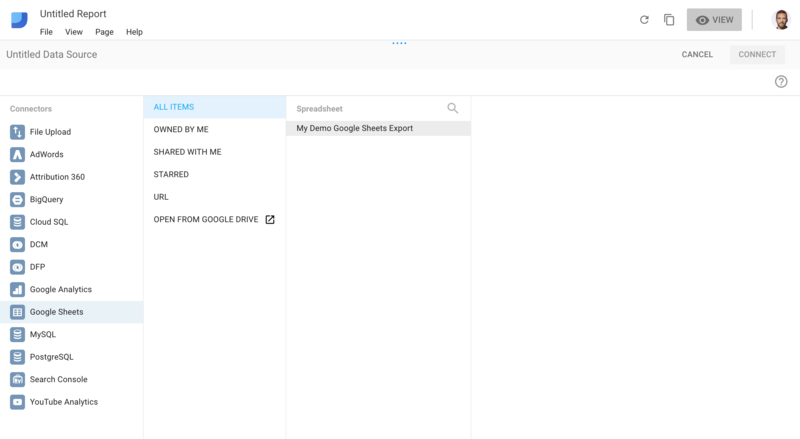 Navigate through the authorisation dialogs and finish by clicking Allow to let Google Data Studio view and manage the files in your Google Drive. Now, you will see a list of available Spreadsheets to connect to. Choose your Spreadsheet, then select the Worksheet that contains the relevant data. 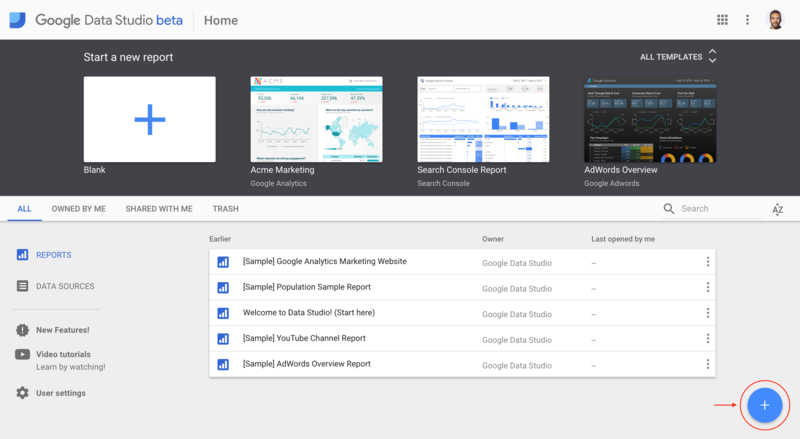 If you followed our guide on exporting Funnel data to Google Sheets, your dimensions and metrics will now be imported as Fields in Data Studio. 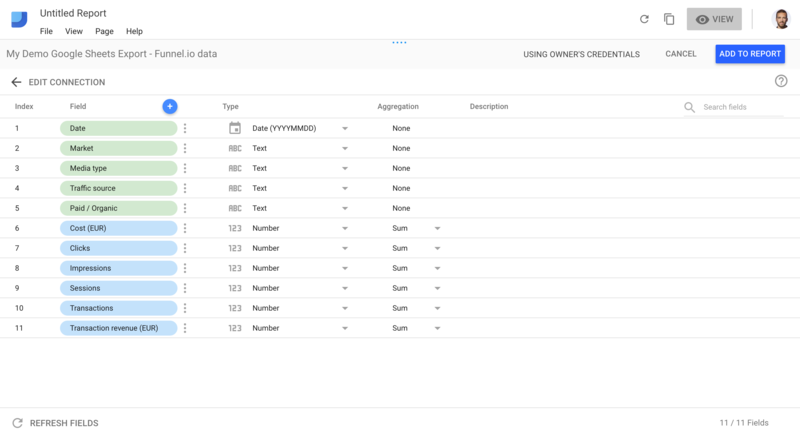 You can create more custom fields for your report later if you need to, for example in order to have derived metrics such as CPC, ROAS or CPT. Click Add to report if everything checks out. Click Add to report again to confirm. Hey presto! 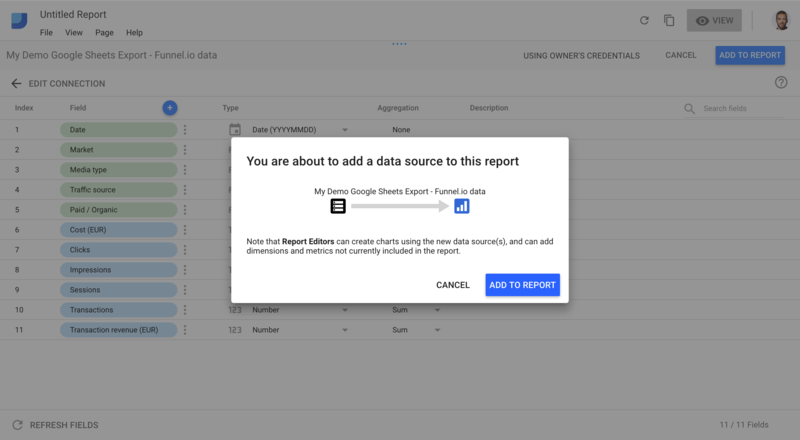 You are now ready to work with your imported Google Sheets data in Data Studio.